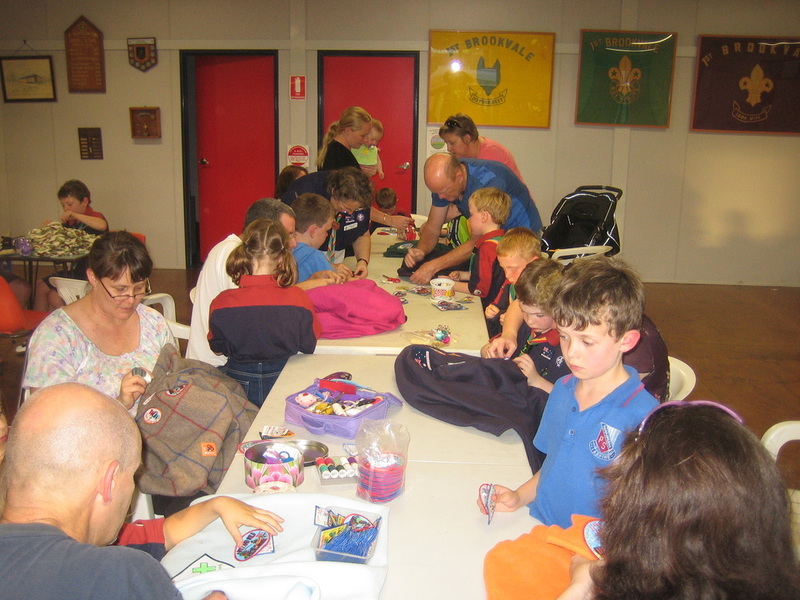 This page shows some of the activities the Joeys have been up to. 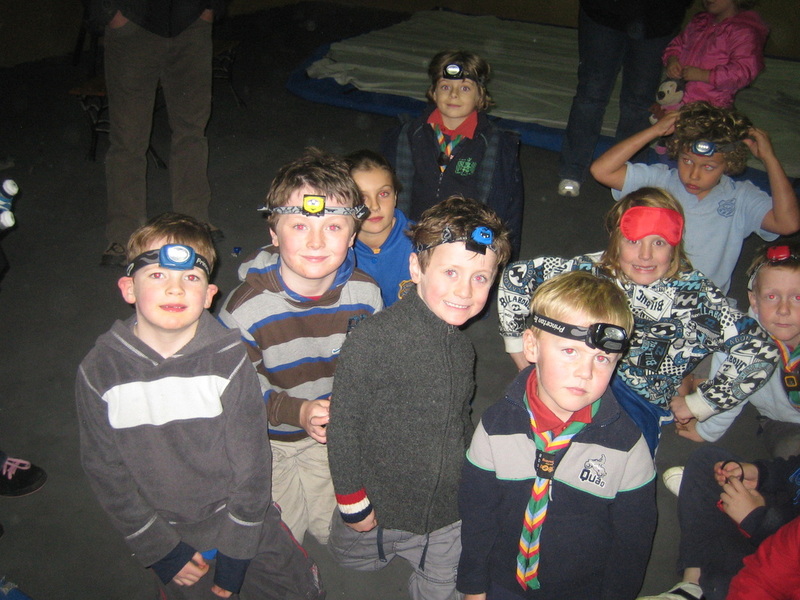 You can click on any photo to view a larger version. 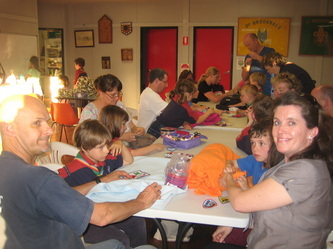 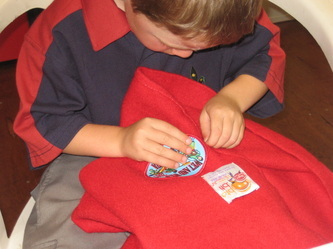 The Joeys brought a parent along to help sew badges on their camp blankets. 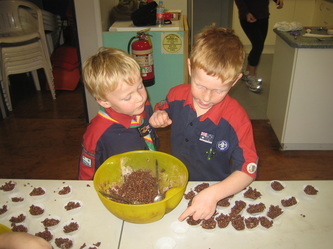 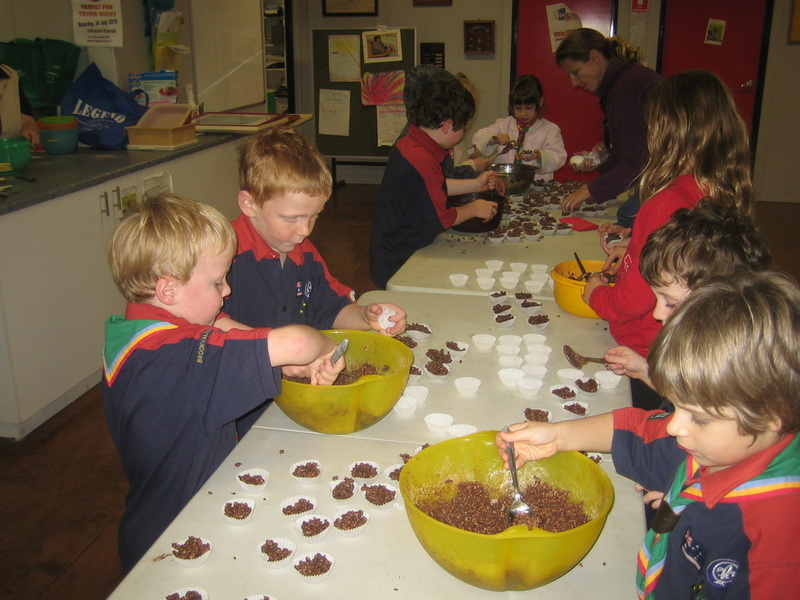 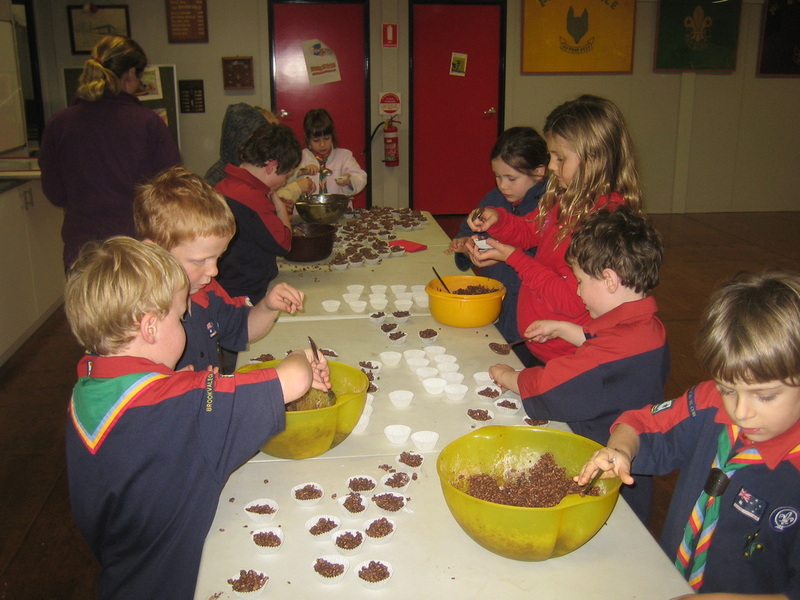 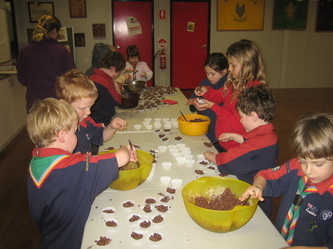 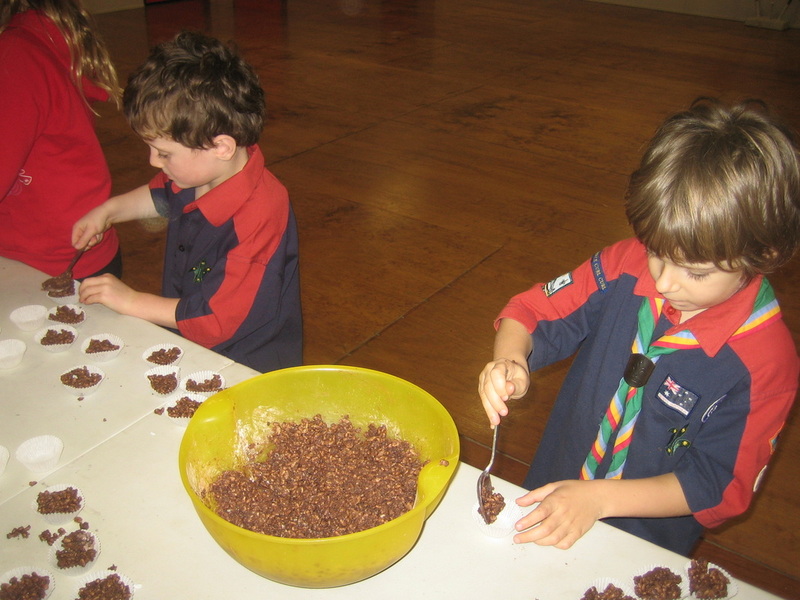 The Group held a family Trivia night at the end of July, so the Joeys whipped up 10 dozen chocolate crackles to help feed the crowd on the night. 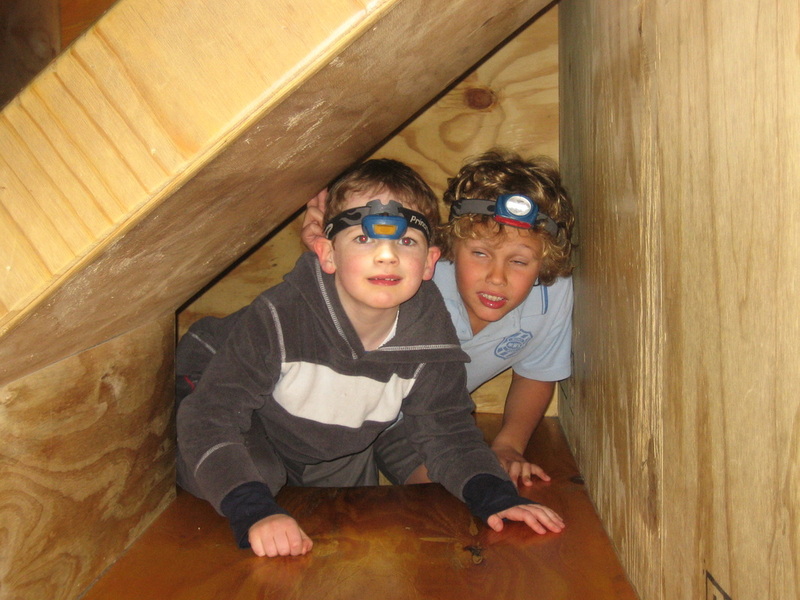 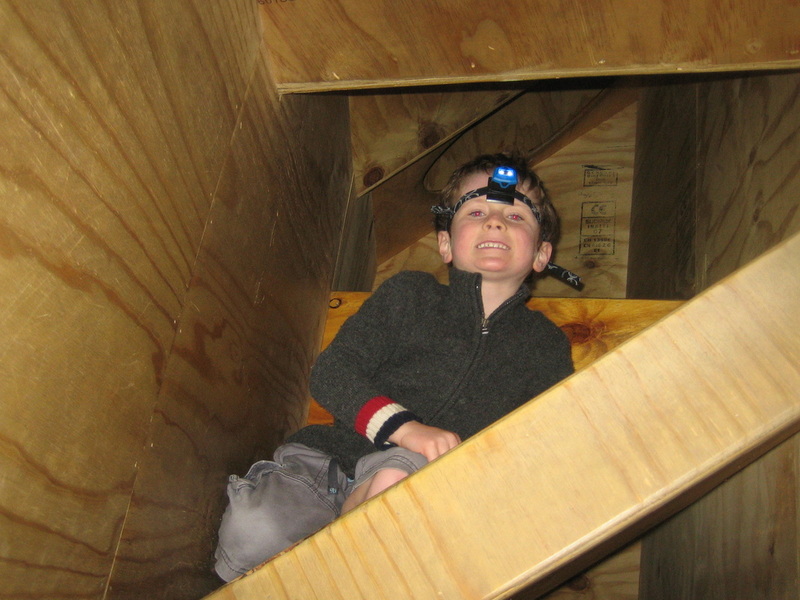 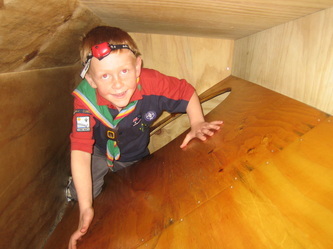 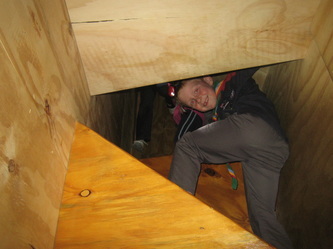 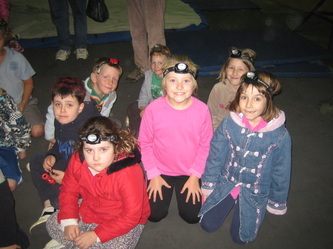 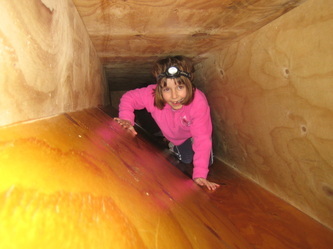 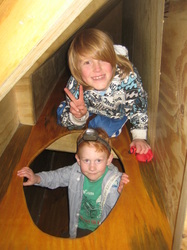 At the end of Term 2 the Joeys went caving at the Northern Beaches Rockhouse. 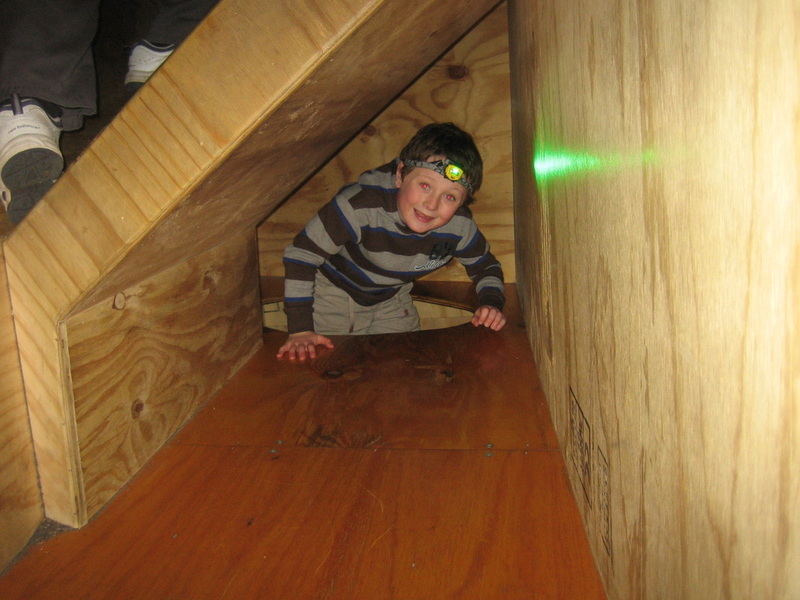 This was loads of fun, and a good way to warm up on a winters night. If you were really tough then you could go through with no torch, or better still wearing a blindfold! As part of Term 2's Caring and Sharing theme we did invited the Joey's mothers to the hall for the night. We played some games and made some special craft things for them. 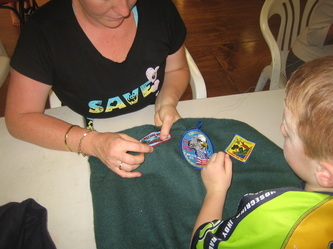 Things we made were a Joey badge with their name, and a special bookmark that had each of our photos on it. 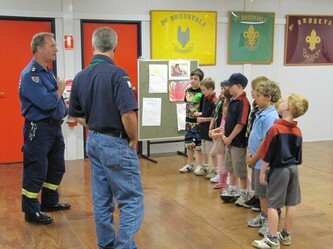 As part of the Community Badge work Dee Why Fire Brigade came to visit us at the hall. 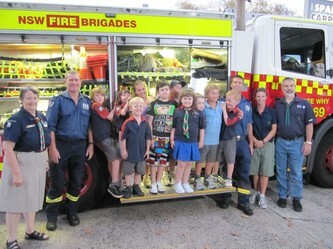 The Fire Brigade is just one of many groups in our community. Captain Dave explained the type of jobs that the Fire Brigade does - it's not just about putting out fires - they also do inspections, advise on fire safety procedures and drills, and even change the batteries in your smoke alarm if you are too old to do it yourself. 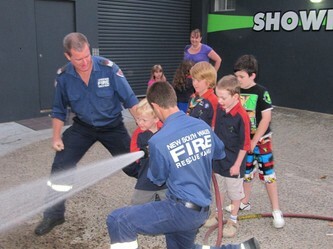 We then went outside and had a close up look at the fire engine and had a go on the fire hose. 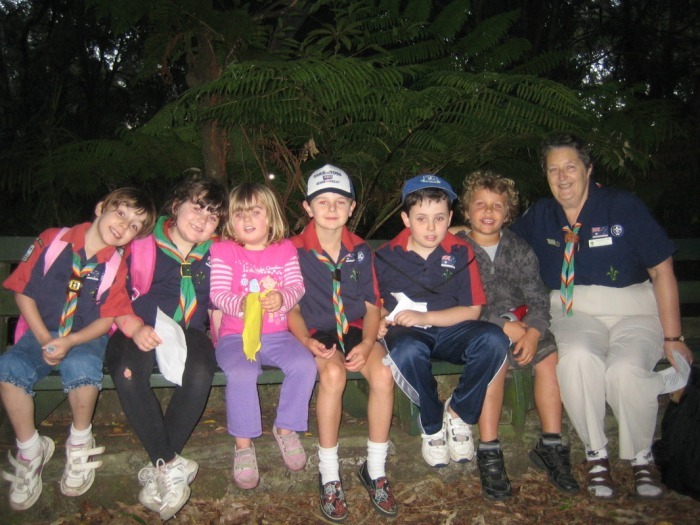 We went on a bush walk in Stony Range at Dee Why. 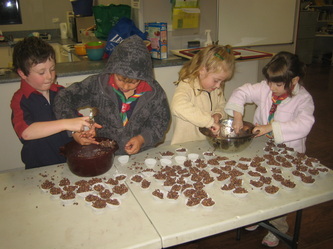 We saw trees, flowers, bushes, rocks, bird nests, birds, a waterfall, a pond, and a rainforest. 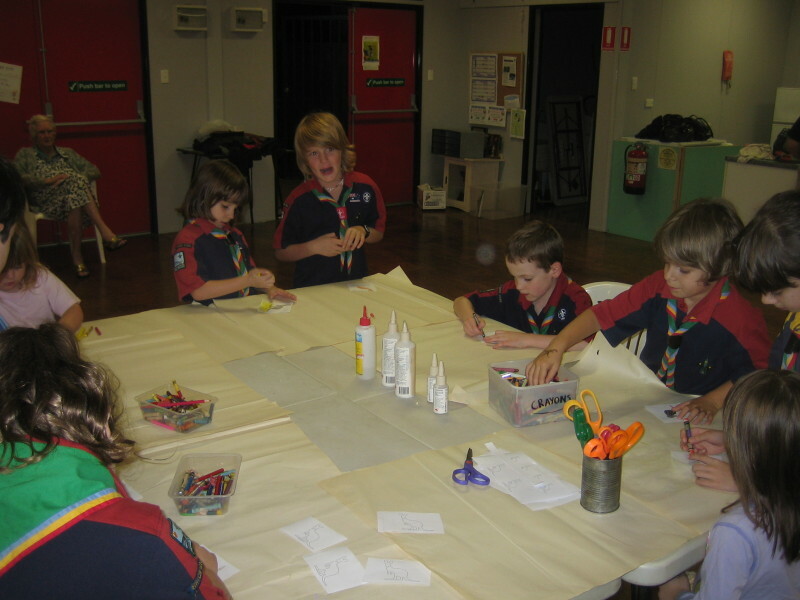 Early evening is a special time in Stony Range, with many animals out and about.